Limited Space- One of the main keys to a fast functioning computer is free space. The more free space, the quicker your computer will be. Make sure to clean up any old or unwanted files to keep as much spaced freed up as possible. Too Many Programs Running- Another reason for a slow computer may be because you have too many applications or other programs that run in the background. The more programs running, the more difficult it is for your computer to “focus” on the task you want to be completed. Overheating- If your computer is covered in dust that may be the reason it’s running slower. Dust and dirt constricts the air flow through your computer, and without proper air flow your computer can overheat. Fragmented Hard Drive- Another common reason for a slow computer is a fragmented hard drive disk. Once the disk is fragmented it takes about 10 times longer to read and write basic information. Viruses- There are all sorts of viruses out there ready to “attack” and slow down your computer. Some viruses include ransomware, at type of virus that wants money to free your computer, and other viruses could just be running in the background. So if your computer is running slower than usual, you may have a virus. Computers can be quite difficult to work on, especially if you don’t know how they work. 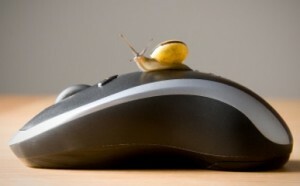 If you have a slow computer that needs some working on, contact Up & Running Computer Solutions in Corona, CA at 951-737-8558 or visit our website at www.urcs.net for more information. Proudly serving Corona, Riverside, Anaheim, Irvine, Newport Beach, Tustin, and all surrounding areas. Computer Freezes- If your computer hard drive is about to fail you will find your computer slowing drastically and freezing constantly. If your computer is freezing while trying to access particular files, you should shut down and restart your computer. 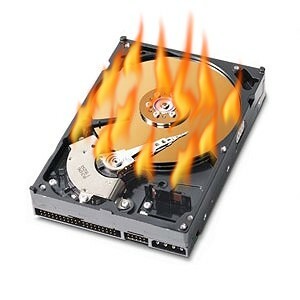 If your computer still freezing while trying to access that same files, you may be experiencing hard drive failure. Corrupted Data- If your files are starting to disappear or are failing to open even though they were saved with no error, you should worry a bit. This could be a possible sign of gradual hard drive failure. Strange Sounds- When you start hearing noises coming from your hard drive such as clicking or grinding, that’s when you should really start worrying. This very common sign of a failing hard drive is known as the click of death. Chkdsk Command- This is another common sign of a failing hard drive. If every time you start up your computer, it automatically runs the Chkdsk command while its booting up this may indicate hard drive failure. Proudly serving Corona, Riverside, Chino, Onatrio, Anaheim, Irvine, Newport Beach, Tustin and all surrounding areas. File Sharing- Your computer files can all be stored centrally, which means multiple employees can work on one file. Storing your computer files in one place will make data backup easier and more reliable. 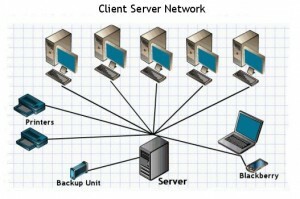 Resource Sharing- Computer networking allows for you and your staff to share printers, scanners, fax modems, internet and even hard drives. For example, you can buy one high speed printer that the whole office can share, which can be very cost effective. Application Sharing- Your business will be able to work together on a single application. For example, you can have accounting software that can be used from different computers at the same time. Security- You have the ability to have certain staff members only access only the resources relevant to their job. You can also have users log in any computer to continue their work if there in a problem with their work station. It’s time to step out of the dark ages of technology and step into the future of networking. For a free quote to have a network installed in your office contact Up and Running Computer Solutions, Inc. in Corona, CA at 951-737-8558. Visit our website at www.urcs.net. Make sure to update your operating system and security software regularly. Be sure to back up important data regularly and keep it on unconnected storage. Make sure to keep up with the most recent security patches and other fixes. Be sure to keep your anti-virus and internet security up to date. Don’t open attachments from suspicious email addresses or unknown senders. If you think your computer has been infected make sure to change network passwords and online account passwords right away. 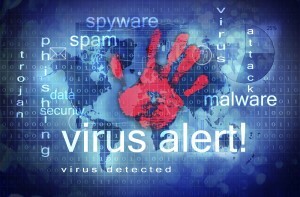 If think your computer has been infected with Cryptolocker or another type of virus, contact Up & Running Computer Solutions in Corona, CA for help today or visit our website at www.URSC.net.